Southland Aikido practices Muso Shinden-Ryu, an Iaido style founded by Hakudo Nakayama. In studying Iaido (居合道), one will learn how to properly draw and wield a Japanese sword. An in-depth reading of the Japanese characters for Iaido is: I (being), AI (harmony), DO (way) or “The way of harmonizing oneself in action”. The iaidoka (practitioner of Iaido) wields a sword, not to control the opponent, but to control oneself. Iaido is mostly performed solo as a series of waza (technique), and as the student of Iaido progresses they can begin training with the bokken for the actual application of the kata. The iaidoka executes various techniques against single or multiple imaginary opponents. Each waza begins and ends with the sword sheathed. In addition to sword technique, practitioners require imagination and concentration in order to maintain the feeling of a real fight and to keep the kata (series of specific movements) fresh. In order to properly perform the waza, iaidoka also learn posture and movement, grip, and cut. Iaido is never practiced in a free-sparring manner with a real sword. Practitioners prepare for a surprise attack, where an immediate, efficient solution to the problem of aggression is necessary. Therefore, the technique is highly refined. Every unnecessary movement is cut away. Technique is simple and direct. The training method is aimed towards development of the practitioner’s every mental and physical resources. Iaido is an authentic martial art that proved its martial values in a time of constant battle and warfare, that was preserved and passed on directly from teacher to student over generations in an unbroken lineage for 450 years. Iaidoka develops the mind towards an ultimately peaceful, harmonious, and active state ready to react and deal with any life situation. 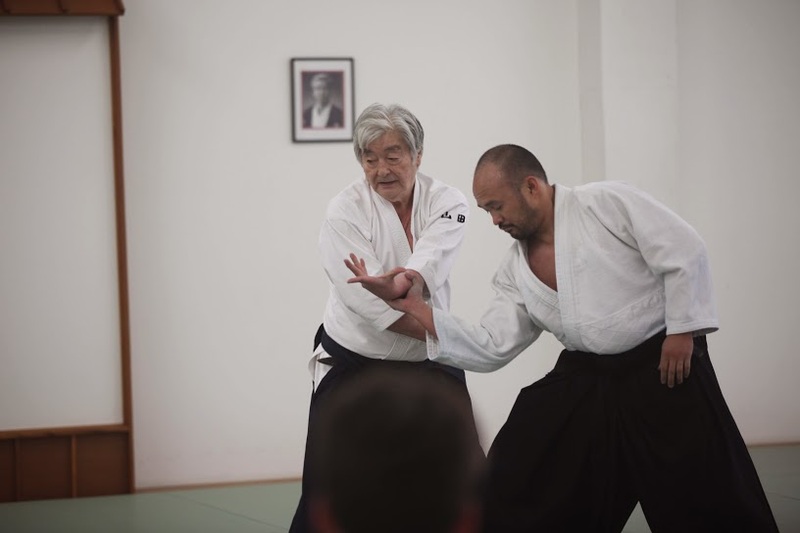 Since Aikido was derived from a sword-based system, Aikido students will find that studying Iaido deepens their understanding of Aikido practice.